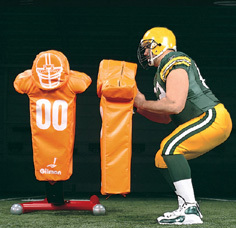 The SHORT BOD PAD offers a target with a head, shoulders, and torso. Measures 15" wide by 25" long. All Pads Have Handles! Use Them As Dummies, Shields, and Step-Overs.